I've spoken about my love for The Wet Brush* and it's amazing detangling abilities before when I spoke about their Earth Collection*, and now they're back with a new collection. 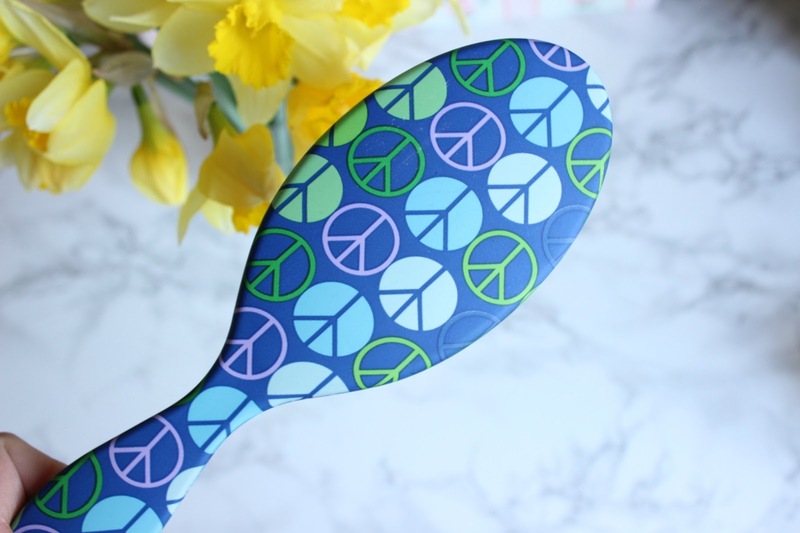 Taking inspiration from the catwalk and dizzying patterns of the 70's, they've launched the Happy Hair Collection, which includes 3 unique new designs (Flower Power, Smiley Face and Peace Sign). 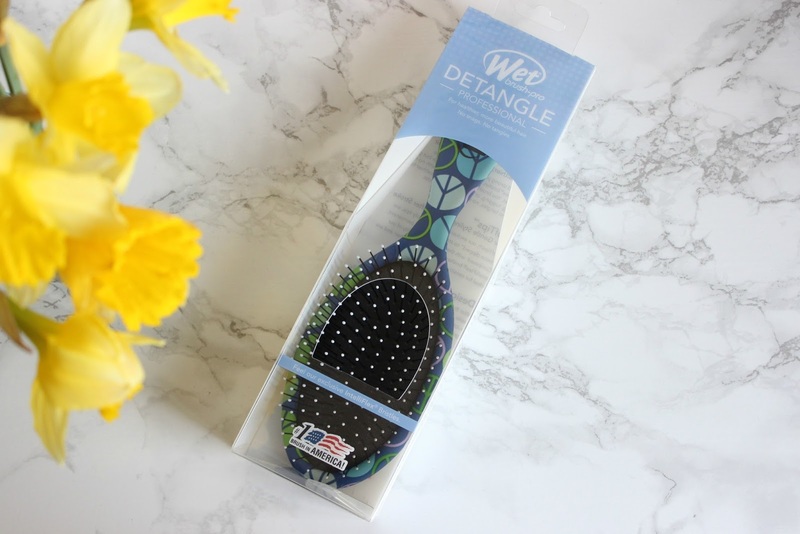 If you haven't heard of The Wet Brush, it's a detangling hairbrush designed to painlessly remove tangles and knots from wet or dry hair. 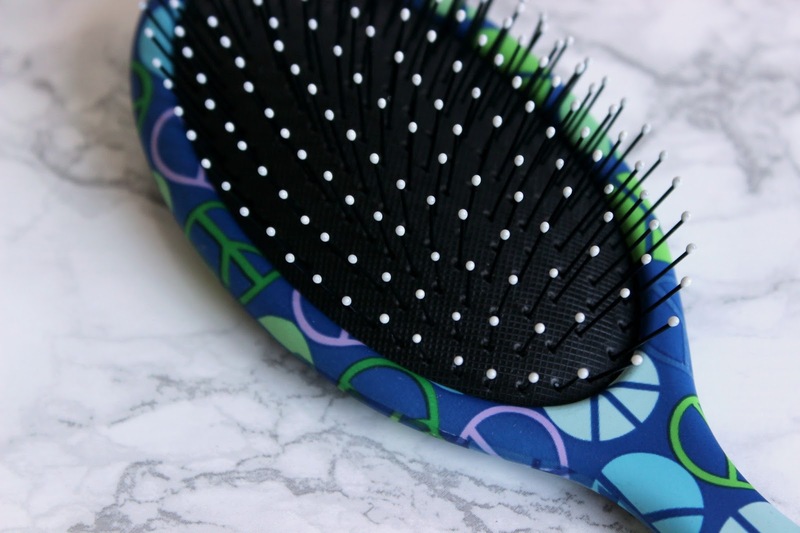 The fact that it's gentle enough to be used on wet hair is what sets this brush apart from other detangling brushes on the market. 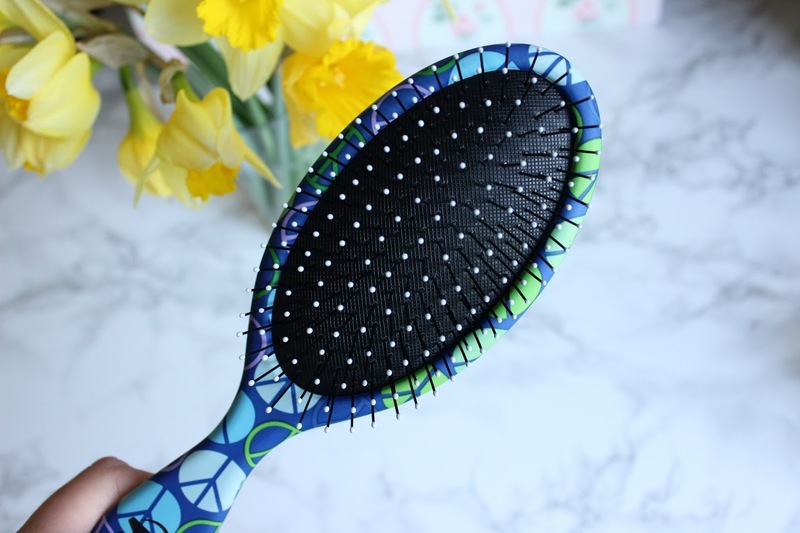 The brush has strong, flexible bristles which also include SofTips which massage the scalp and stimilate circulation at the follicle which will encourage healthy hair growth. I wouldn't use any other brush now and have noticed a dramatic improvement in breakage since using it. Washing my hair has become so much easier now I don't have to battle with dreaded tangles. The Wet Brush is available from Look Fantastic from £11.99. I've been using tangle teezer for quite some time now but it doesn't quite do the job for me personally it really hurts my scalp and it I find sometimes it causes more knots than what it gets rid of - so now hearing about this I think it's time for something new and as it can be used on both wet and dry hair - well you can't go wrong really can you?! This is the first time I read a review about The Wet Brush collection and I'm so anxious to try it for myself. I have long and wavy hair, so my hair do get tangled a lot and so is my daughter's. She will love Smiley Face design and I'll definately pick Flower Power. Great review!